On this project the existing deck was sunken slippery and rotten in areas. 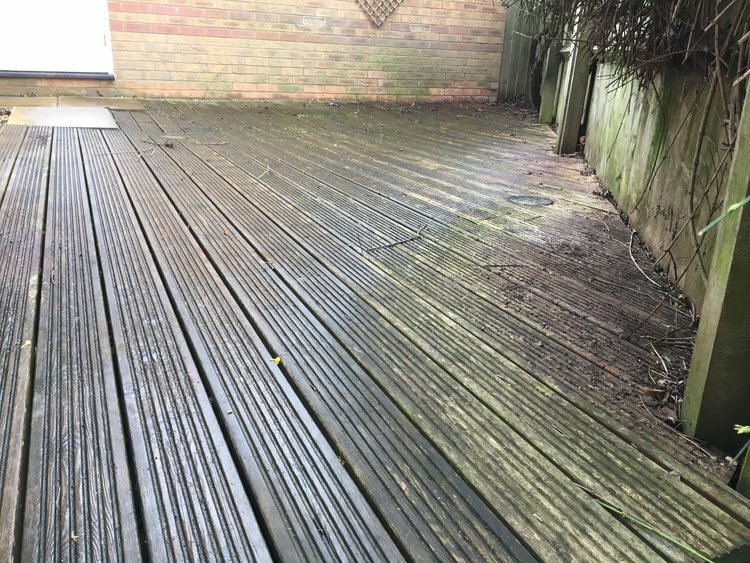 The client called me to sort out there problem deck which had become very slippery and dangerous, so I began my research for using either composite decking or anti slip decking. Composite is manufactured from recyclable materials and is a good anti slipboard, this has very good guarantees however this option was costly and above the budget of this project. The next choice was the anti slip board with inserted anti slip strips, this has good guarantees also and was in cost effective. Grey anti slip strips can be seen in the picture on the right. 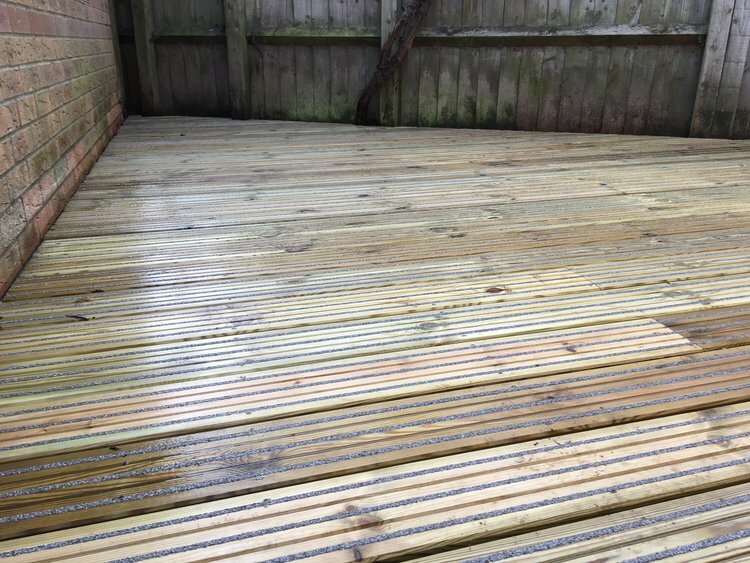 I upgraded the frame by using 150 x 50 mm joists and secured to posts concreted into the ground and fixed the boards down with Spax decking screws . Here are before and after photos, feel free to leave your comments and share!! !